Mom: Dear, please apply oil to your hair before you go to bed, else your hair won’t be strong and healthy as it is now. Me: (sulking) But Mom, it gives stain on my pillow and I won’t go anywhere out with oily and sticky hair. Been there? For us Indians, Oiling has been an essential element in our hair care routine. But with oiling comes along a number of problems like sticky hair, pillow stain, oily forehead and birth of acne, and what not! Despite all these hassles, we can’t deny the fact that oiling has great benefits attached to it as well. So is there any solution or way through which one can both the benefits of Oil yet possess oil free, non sticky and graciously shiny hair? Well, we do! Pantene has come up with the newest Pantene Oil Replacement which helps us achieve this notion. Cool? 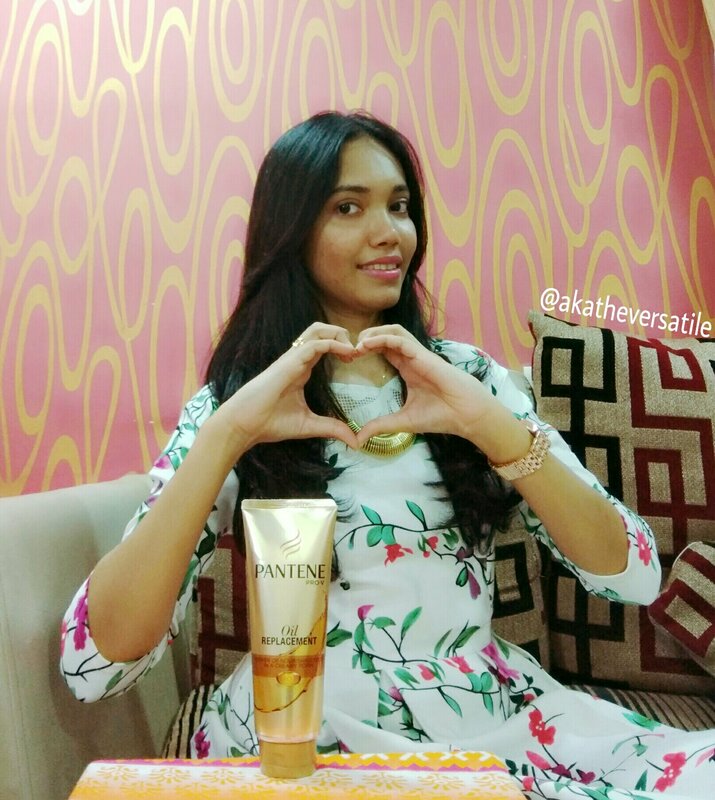 Now let’s quickly dive in to this amazing product curated by Pantene. The New Pantene Oil Replacement has has Pro-V and goodness of oils; giving us 2X stronger and hassle-free hair. It has multiple benefits of natural oil without any inconvenience that ordinary hair oil owns. It nourishes the hair, reduces hair fall and helps repair damage. It also acts as a final touch leaving hair soft and smooth. Awesome? It’s because the New Pantene Oil Replacement is built with a formula which combines the power of oils with Pantene Pro-V science to treat hair, while it’s creamy texture leaves it smooth without the stickiness. Now, that’s amazing! Style your hair as usual and you’re ready to go!!! It is also recommended to be used before combing, blow-drying, sun & salt water exposure. 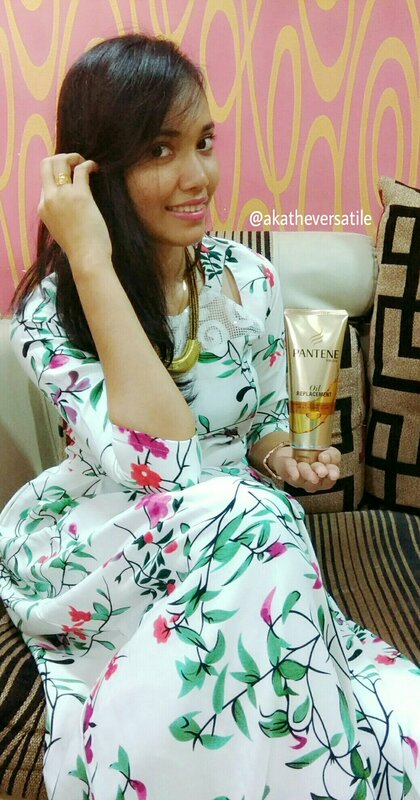 Has #akatheversatile used the New Pantene Oil Replacement? Absolutely! 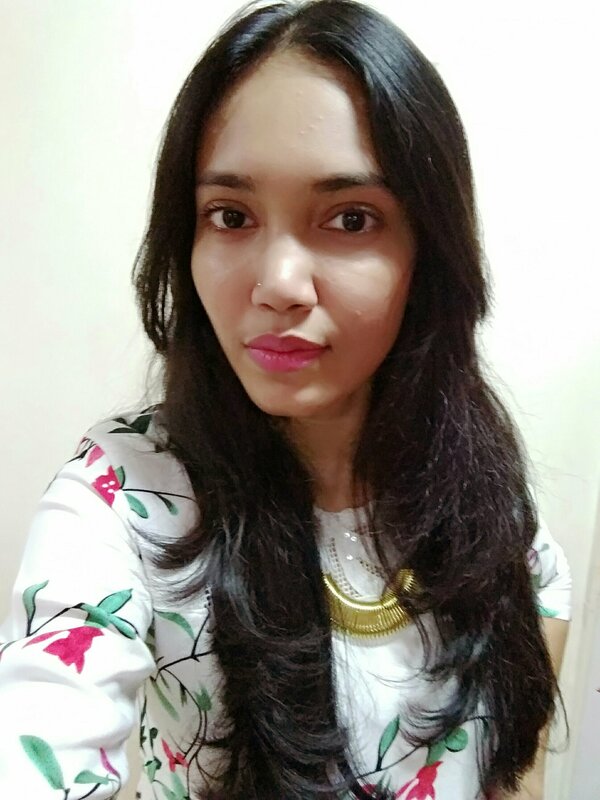 Pantene is a trusted brand since ages and with this newly regulated formula which suffices my need of oil replacement, I used it multiple times on my hair for styling. Apart from that, it makes long oiling hours, history now and also it makes the hair care routine simpler and quicker. For this shoot as well, I didn’t use any sort of smoothener or hair products for my hair to style it this way but simply the New Pantene Oil Replacement. You could yourself see the results and thus, I strongly recommend it to those who would like to give this new product by Pantene a try! It’s absolutely worth it! 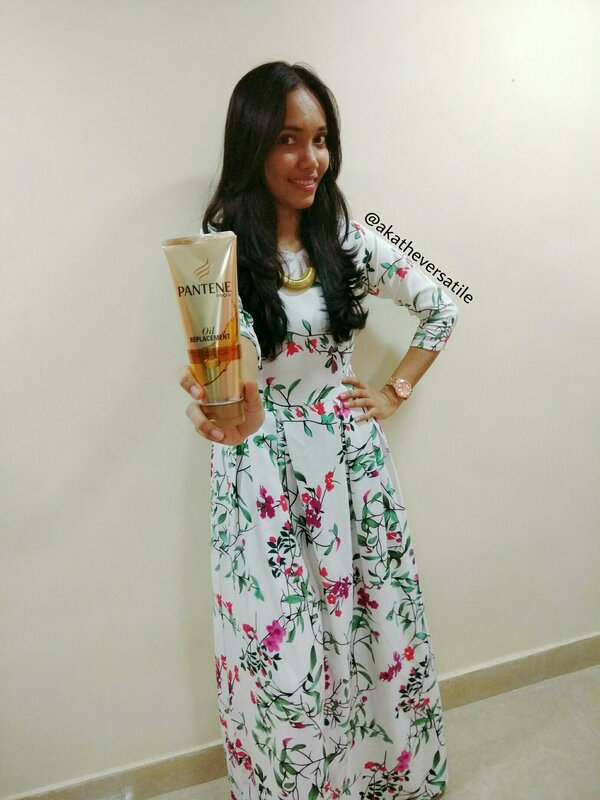 Ab #TelKoTelLagao with the New Pantene Oil Replacement! Have you ever looked for an Oil Replacement serum? How do you like this new launch? Share your insights in the comments section! !